Queen duvet cover (88" x 88") featuring the image "On The Bench" by Hanne Lore Koehler. Our soft microfiber duvet covers are hand sewn and include a hidden zipper for easy washing and assembly. Your selected image is printed on the top surface with a soft white surface underneath. All duvet covers are machine washable with cold water and a mild detergent. Thank you for your thoughtful comment and support, Geraldine! Thank you for your thoughtful comment and support, Ann! Thank you, Uther, for the honor of featuring my painting in ALL THINGS IN MODERATION group! I appreciate your kind support and promotion! 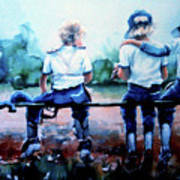 Thank you for your generous comment, support and promotion of my painting, Michelle! Thank you for your continued support and promotion, Donna! 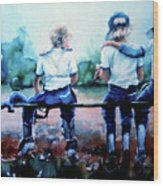 Thank you, First Star Art, for the honor of featuring my painting in HEROES AND HEROINES group! I appreciate your kind support and promotion! Thank you, Eva, for the honor of featuring my painting in IMAGINATION-ARTISTRY-CREATIVITY group! I appreciate your kind support and promotion! 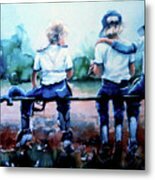 Thank you, Scott, or featuring my painting in FAA PORTRAIT GALLERY group on 05/12/2017! I am honored! Thank you for your thoughtful comment and support, Doug! Thank you for the honor of featuring my painting in WISCONSIN FLOWERS AND SCENERY group, Randy! I appreciate your kind support and promotion! Thank you for your kind comment and support, Jack! 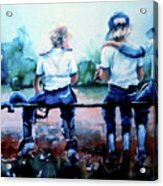 Your entire Child Sports Art gallery is truly outstanding work, Hanne. I am so very impressed with your amazing portfolio & appreciate your awesome talent. Another added to my favorites. Well done! Thank you so much for your kind enthusiasm and support for my paintings, Gary! Thank you for your kind comment and support, Sunil! Thank you for your kind comment, Dominique! Thank you for your precious comment and support, Mary Lou! Thank you for your thoughtful comment and support, Lindley! Thank you for your kind comment, support and promotion, Roe! 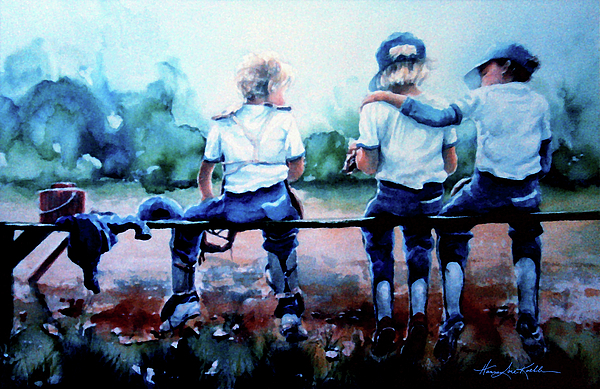 What a heartwarming depiction of the camaraderie of boys "on the bench" waiting for their turn to go up, Hanne! I like the viewpoint and the impressionistic background - L/F! Thank you for your thoughtful comment and support for my painting, Michele!